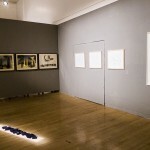 2012 October – Crocus Gallery Nottingham : Drawing Project show. 2012 September 10th – 11th Drawing Research Network curated Digital Exhibition to coincide with Conference. 2010 November 27th – December 4th ‘The Public is not Invited’ Group Show Nottingham (part of Sideshow to Brit Art Show). 2008 July 17 – 20, Group show ‘Penned’ Artscape,Baltimore U.S.A.
1999 3-Jay Group Show,Christchurch College, Oxford Artweek. 1992 ‘Tems’ Group Show,Bampton Town Hall, Oxon. 1991 Rocket Press, Blewbury, Oxon. 1988 Drawings with Martin Jolly. 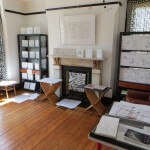 Square Gallery, Highgate, London. 2003 – Lady Bay Dragon Primary School, Nottingham – Artweek day. 1991 St Martins Illustration show – Laura Stenhouse Stone litho prints -Shaun Belcher lyrics and poems.